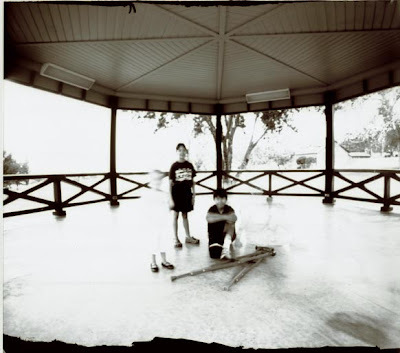 Kristy Hom: Worldwide Pinhole Photography Day is tomorrow, 4.29.12! Worldwide Pinhole Photography Day is tomorrow, 4.29.12! pinhole photo of the CaveKids in 2009, with the cookie tin pinhole camera. I'm getting all geared up for Pinhole Day tomorrow! WWPD ("Worldwide Pinhole Photography Day" is a worldwide effort, where anyone can take a picture with a pinhole camera, and upload it to an international gallery. Just think...the whole world, photographed in pinhole, from one day in history, viewed in one gallery! 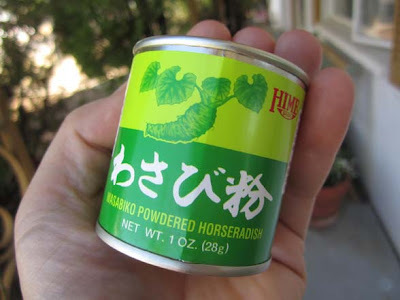 Wasabicam is still full 1/2 way with wasabi powder, so I guess the CaveFamily better make some sushi today to use it up! Here is a video, showing some Italian news footage of a pinhole gallery exhibit, as well as some very cool pinhole cameras..check it out! !